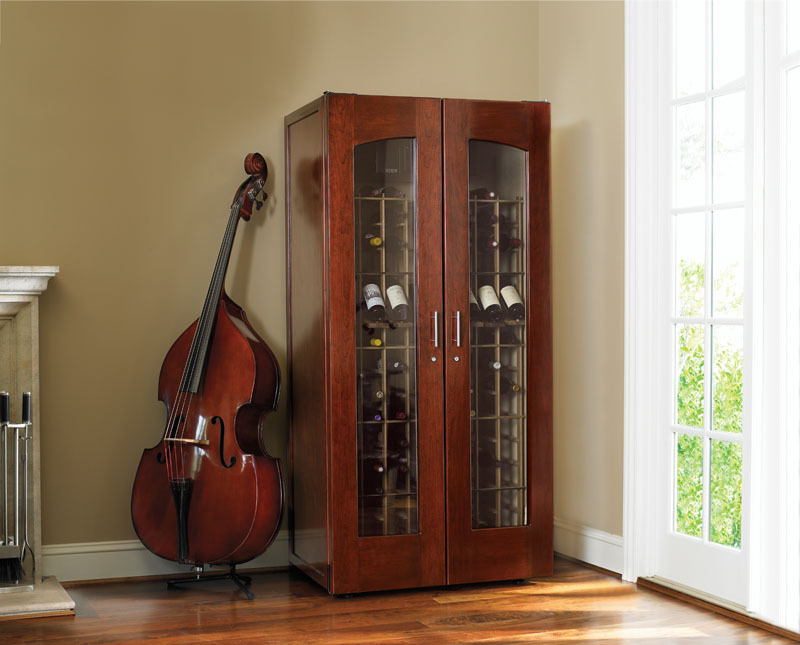 You’re pursuing the wine store aisles for trying to find the perfect bottle for a special event. Or, you simply want to pick up a bottle that will go well with tonight’s dinner or to pair with your favorite TV show. How do you choose the best wine? You need to get on your way to that event, preparing dinner or watching your show, and you don’t have much time to ponder. So you just grab the bottle with the best-looking label. Bad move, and you know it. Save yourself some embarrassment, put it down, and slowly back away. Take out your phone instead. Within it lies the answer to just the right bottle for the occasion. 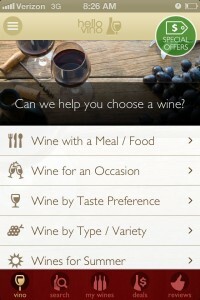 I test drove the top free wine-focused apps available for the iPhone. I determined the most popular by ratings, the number of downloads and if they had professional reviews. Most are also compatible with the Android operating system. 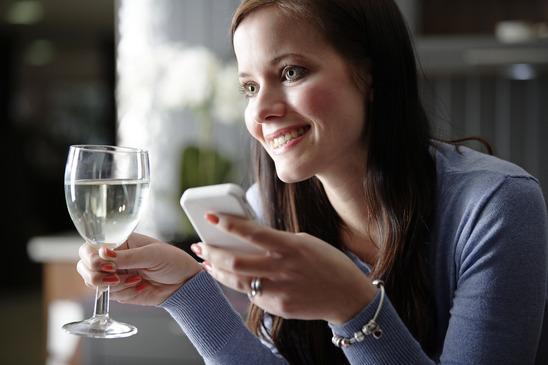 Whether you’re a nebbiolo newbie, a seasoned slurper or are looking to follow the drinking habits of celebrity sommeliers and wine critics, there’s a vinous app out there for you. Grab a glass and read on for the results. The deal: The WineQuest app starts with a taste profile quiz that questions your personal flavor preferences, such as “Do you prefer salty snacks or sweet ones?” Then, the app creates your profile and anticipates how worthwhile a wine choice is according to your tastes. The interface is easy to use and improves over time as you rate wines on a scale of one to five (Or yum vs. yuk, to use their terms). Their database is large, and the ability to share profiles is a great asset. Best enjoyed by: Wine drinkers who have a lot of other wino friends. The best part is the relative accuracy of the “will they like it” feature, which shows the preferences of your contacts who also use WineQuest. 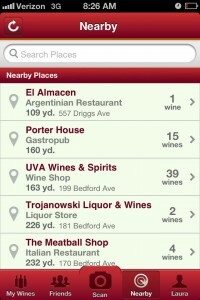 This app is a fantastic tool to figure out what bottles to buy as gifts or to bring to dinner parties. The deal: Vivino is a thorough app that can do just about anything: scan labels, find nearby wine stores and wine bars, recommend pairings and save your tasting notes. In my experience, the scanning technology was excellent and recognized nearly every label I tested. Occasionally, it mislabeled wines — mistaking Dolcetto for Barolo for example — but this app was generally easy to use and really fun. Best enjoyed by: Anyone who wants to avoid consulting the wine store snobs for advice or who needs some guidance for shopping online. 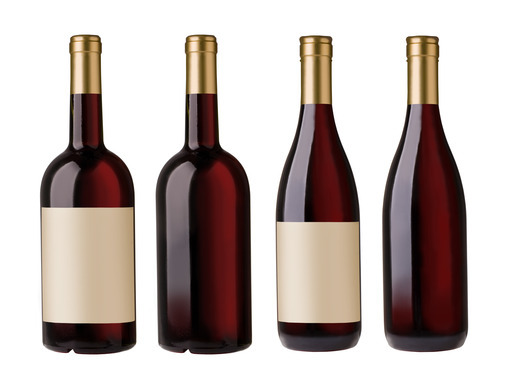 The label scanning technology rates wines based on other users’ ratings and also includes notes from the winery, pairing options and tons of details. In other words, it provides instant buying confidence. The deal: Delectable is essentially a wine-focused Instagram with a cult following among sommeliers and wine professionals. Best enjoyed by: A wine drinker who has found a professional whose palate is similar to theirs. The true value of wine criticism is discovering professional palates that align with your own tastes. Delectable allows you to follow the rankings of many wine experts, so it can be a great way to find new wines. But if you’re already an Instagram user, the entire app seems superfluous. The deal: Second Glass was designed by the company that organizes Wine Riot events across the country. These are essentially wine tastings designed to be more like parties and less like dull conferences. 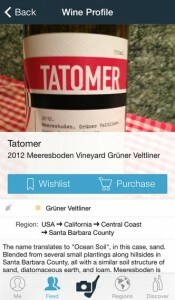 The app highlights producers featured at the event, but also has a “Wine Decider” element that makes choosing a bottle for any occasion a breeze. Best enjoyed by: Those unsure of what bottles are available in the neighborhood. 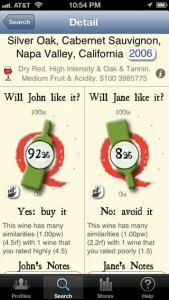 The most unique (and valuable) part of this app is the “Wine Decider,” which gives broad recommendations based on occasion and price range. It’s great if you’re, say, in Detroit and have no idea what to pair with Auntie Jane’s meatloaf, or where to buy it. A recommendation like Chianti with a brief description and price suggestions takes the guesswork out of dinner and puts delicious back in. 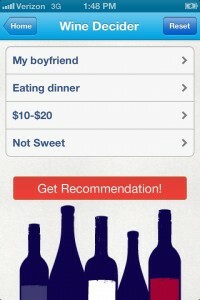 The deal: Man, the Hello Vino app does just about everything. Need wine for a certain occasion? No problem. Want to buy wines from flash sales? Done. Store your own reviews? No problem. Best enjoyed by: Wine newbies looking for lots of guidance. 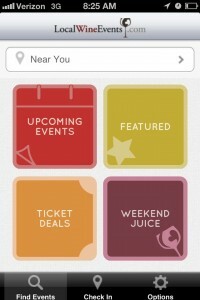 Hello Vino is comprehensive and has a very easy-to-use, understandable interface. At the same time, the app is detailed enough to stay useful as you go from drinking Moscato to decanting Mayacamas Merlot. The deal: Local Wine Events is by far the most comprehensive wine events database I’ve found, and their app compiles the events offerings of the website in a free, mobile form. Not sure what to do in a new city you’re visiting for vacation or business? Just open this app, and problem solved. Best enjoyed by: Wine lovers who are feeling bored and are looking for something to do. Local Wine Events has a calendar that includes everything from simple tastings or weekly drink specials at local stores and bars to fancy events like “80 Sips of Australia” or a “Burgundy Master Class.” Their links to cities across the U.S. and around the world makes wine travel a breeze. About the author: Laura Burgess is an NYC-based sommelier and Portuguese wine enthusiast. When not writing the blog Laura Uncorked, she can often be found (mis)adventuring with Port in hand and stilettos on her feet. For more on Laura, follow her on Twitter @LauraUncorked.